Always awesome to see your work in print. 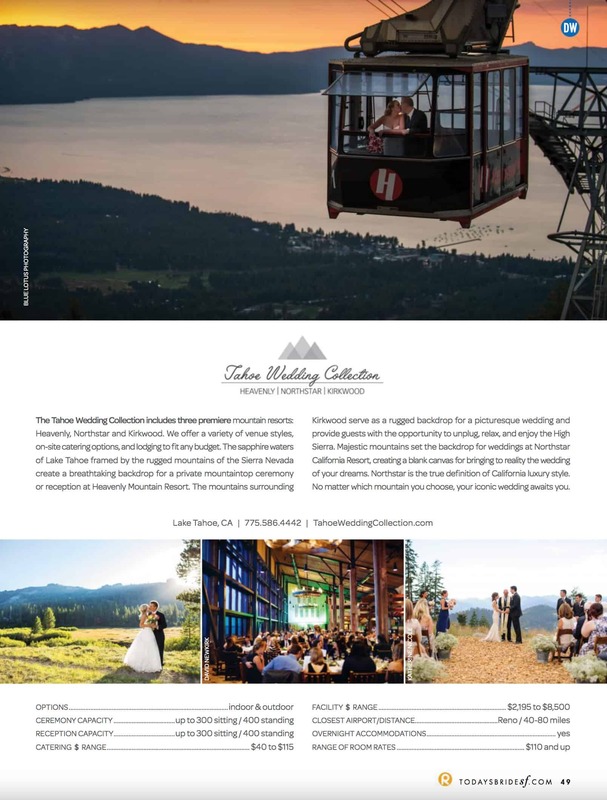 So stoked on the image Heavenly chose to showcase their venue for their print advertisement in Todays Bride Magazine for The Tahoe Wedding Collection. They also used the same image on their website showcasing Heavenly for Iconic Weddings. We feel so blessed to have the opportunity work at Heavenly and to also be included on their vendor list. One of our favorites as there are always stunning sunsets and lake views for days.